BE kind and caring and show compassion were the key messages of a new national campaign launched in the region this week. 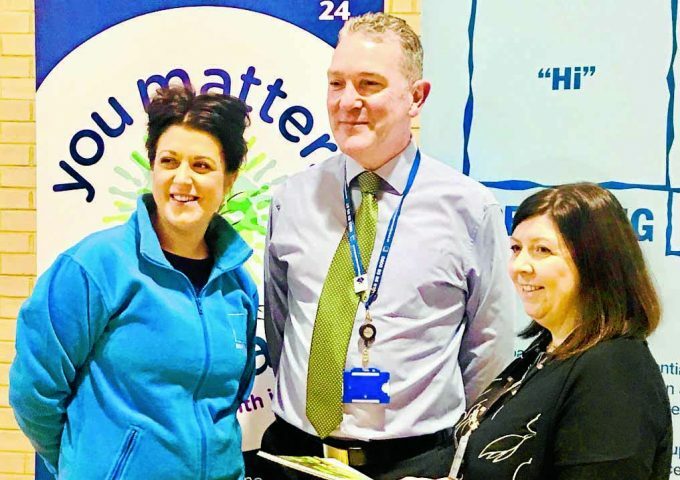 The Breathing Space charity chose the SRUC Barony campus near Dumfries to unveil their theme for 2019: You Matter, We Care. He noted Scotland’s international reputation as a welcoming nation, saying: “We have that reputation of being a small nation with a big heart. “What we would like to encourage everyone is to continue this kindness and caring reputation. Continuing, he added: “Those callers sometimes feel worthless and believe the world would be a better place without them in it. That is where you and I and everyone else in Scotland comes in, particularly when someone is in a dark place, we need to make them think they matter. February 1 is National Breathing Space Day and Mr McLaren urged everyone to take time out to look after their own mental wellbeing this weekend. He said: “Separate yourself from negativity, do not hang about negative people, give them feedback about their negativity and that it can pull you down.